No of Core: 2, 3, 4, etc. Alpesh R Shah & Co.
We manufacture silicon elastrometric cables that are high quality cables made of silicon and has also shown best performance when it comes to its working. Our customers have been very satisfied by its effeciency and cost efectiveness. - Satisfied by its effeciency. The elastomeric cables are manufactured in a state of art technology in CCV & CV lines from royle system USA, having production capacity for a wide range of cables with using natural or synthetic rubber for various applications. The company has also set up electron beam cross-linking facility for various cables. 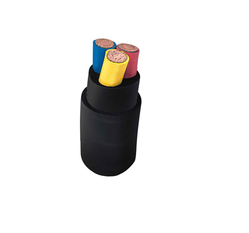 We are the foremost supplier of Elastomeric Cable. The product made by us is well known in this industry. Elastomeric Cables are used in various sectors due to their excellent properties withstanding harsh operating environments. These cables find applications in almost every sector of the economy like railways, wind farms, industrial infrastructure, petrochemical, Etc. Used in mining, ship wiring, transportation sector and Defense applications & earth moving machines..